I went into this book with exceedingly high expectations, having been told by someone whose opinion I trust immensely that it is potentially better than Salinger's Catcher in the Rye (one of my all-time favorites). I wasn't sure if I would agree, but I went into Franny and Zooey expecting great things and with very high hopes for an enjoyable, and perhaps even remarkable, read. Given my particular love for Catcher, I'm not going to weigh in on whether or not this book is actually superior to that one. What I will say is the writing is absolutely breathtaking, the story is phenomenal, and I was captivated the whole way through. The short story of "Franny" is brief but insightful, and provides enough detail and foreshadowing that it works as a kind of opening chapter to the novella that follows. 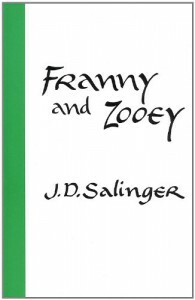 The Glass family quickly became some of my favorite literary characters, and I was instantly and seamlessly drawn into the story and the world Salinger created. 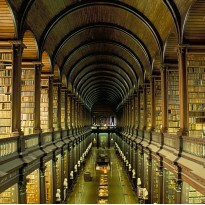 For me, Franny and Zooey is, without doubt, a triumph of fantastic writing. 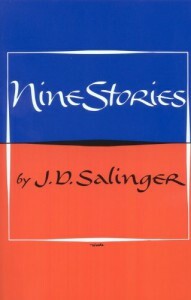 Salinger's talent, though something I have never doubted, shines through in this book in an entirely new way, and, after reading, my opinion of him could not be higher. I urge anyone and everyone to read this book, and I am so so happy to have experienced it for myself. At the urging of my dear friend over at Nostalgia Reader, I have decided to take part in the Back to the Classics Challenge 2016, hosted by Books and Chocolate! The details on the challenge can be found here. Of course, this list may well change as the year goes on, but I will keep it updated over at this page. I will likely not be reading in order, but all reviews will be posted on this blog and over on my Goodreads page. In fairness, this is probably close to a 3.5 star review, because I found myself getting bored a few times throughout, and generally was not nearly as captivated as I would need to be for a perfect 4 star review. 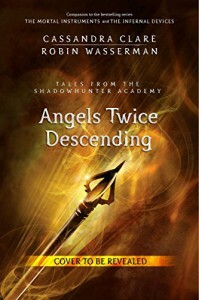 That said, with a short story collection I prefer to rate according to my favorite short stories, and the first and ninth stories in this collection are easily deserving of a 4 or even 5 star rating, in my opinion, so they brought up the rating of the collection as a whole. All in all, this collection further cemented my already exceptionally high opinion of Salinger, and I would recommend it wholeheartedly to anyone who is a fan of literature. I had a difficult time deciding what rating to give this book. On the one hand, I try hard to reserve my five star reviews for books that are among my absolute favorites and for things that I would readily term literary masterpieces. Staring at the rating button for this book, debating which of the little line of stars I should highlight, I very nearly selected 4 stars instead of 5. In the end, however, I realized that this book actually is a new favorite, and, if I were trying to find critiques in order to justify a lower rating, I would have a very difficult time of it. You see, while I might normally point out that parts of this book are incredibly lighthearted to the point of being downright silly, I can hardly call that a fault when it's an intentional and, indeed, vitally important, characteristic. 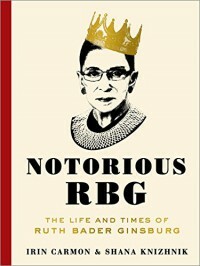 Furthermore, I could note that this book is a wee bit biased in favor of decidedly liberal views and against certain decisions and persons, but considering it's a book which unabashedly declares its purpose as celebrating Ruth Bader Ginsburg, criticizing the authors for doing exactly that would be illogical. Even better, while it is clear where the authors' personal beliefs may lie, they do an exceedingly good job of exploring opposing arguments and providing background information for the various views or decisions they would likely argue against. Even their most partial discussions remain professional, cordial, and thoughtful, and I cannot praise this quality enough. In the end, I have to say that I was completely drawn in by such an unapologetically over the top and, for lack of a more academic term, fun depiction of a woman who is, without doubt, one of the most incredible legal minds of our time (or our history). I would urge anyone with even the slightest interest in the Court and Justice Ginsburg to pick it up, and I am incredibly happy to have read it myself. Let me start by saying that I really enjoyed this book, regardless of what my lukewarm rating might indicate. 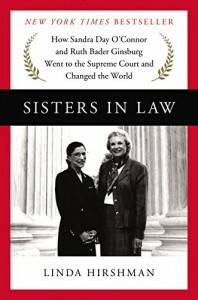 It was a fascinating and detailed look at two of the most fascinating and influential women in legal history, and I found myself captivated by both the sweeping historical narrative and the charming anecdotes and facts that Hirshman included, providing greater detail on both the Court itself and its first women. I appreciated Hirshman's ability to simplify the legal details in order to make the book accessible to laypeople, and I was deeply impressed by the sheer volume of information and research which was included within a relatively short tome (301 pages, in my edition). The above said, I had some issues with Sisters in Law which ultimately kept me from giving it the 4 or even 5 star review it might otherwise have received. Although I respect Hirshman's right to include and champion whatever personal opinions and political views she would like to through her writing, I do feel that this book went a bit too far in its obvious bias against Justice O'Connor, especially for a book written under the guise of celebrating O'Connor and her achievements. More disturbingly, however, was Hirshman's tendency to allow her own bias to gloss over legal details, to the point where she came very near to mischaracterizing case law and the Court's jurisprudence (or at least ignoring potential opposing arguments, a cardinal sin of any legal analysis). The simplification of complex legal concepts mentioned above, while largely well-done, occasionally combined with Hirshman's obvious bias to create an analysis which was entirely one-sided, overly simplified, and borderline patronizing, not to mention almost unjustly brief. Towards the end of the book especially, when Hirshman disliked or disagreed with the outcome of a case, she simply devoted a few sentences to decrying the Court without even acknowledgedly the reasoning behind the various decisions. 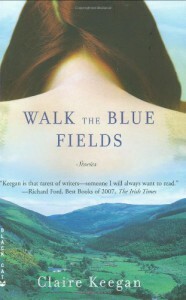 Ultimately, although I did truly enjoy this book, it is the clear lack of objectivity which led to my final rating. Given the choice on Goodreads, I would probably have gone with a slightly more generous 3.5 stars, but as it is, Sisters in Law gets 3 stars for being an admirable, if slightly partisan, piece of biographical nonfiction. Update: I reread this book because a) I love it and b) I wanted to see if my opinions changed at all on a second read. I can now unequivocally confirm that I still love this book and everything I said about it in my original review is one hundred percent accurate. I admit, this book is not perfect. I admit, I can see where critics are coming from. But the fact remains that this book does some incredible things, including addressing head on ideas about cancer and sickness that many would rush to sidestep or sugarcoat. I love it for that, and for a million more reasons. And I am so glad I took the time to fall in love with it all over again. Original review: I genuinely believe this is my favorite book. Of course, if I'm being honest, my tastes change so often that I go through a lot of "favorites" but this is one that I will remember and appreciate for a long, long time to come. I may even reread it when I get a chance, which is the biggest compliment I can give to a book, because with the exception of the Harry Potter series, I tend to give books one read and that is it. I am in love with everything about The Fault in Our Stars. I love the characters, from Hazel to Augustus to Isaac to Hazel's parents, who are brilliant and real and heartbreaking and just the right amount of cynical to be realistic. I love the plot, which doesn't fall prey to the obvious tropes or conventions of the Young Adult genre it comes from. I'm not going to lie and say I was totally caught off guard by the storyline, but I was captivated enough that I didn't need to be surprised. I love the writing style, which is incredibly accessible but filled with some of the most beautiful, thought-provoking language I have ever read in a YA book, or any book, for that matter. 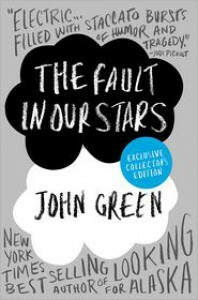 What I especially love is how John Green treated death, disease, and the concept of terminal illness. It's a serious set of topics, and he doesn't pretend it isn't by any means, but he also doesn't glorify these things or make them into something they aren't. He doesn't shy away from handling these concepts like what they are, instead of some socially accepted prepackaged message. For that, he is deserving of all the praise. In short, I love everything about the novel as a whole, and I could go on for pages and pages about how perfect in every way this book is, but I don't think I could do it justice even if I talked about it forever, so I will stop here. But please, please, please read this book. Right now. You won't regret that you did. 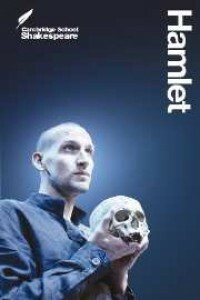 Favorite Shakespeare of those I've read, absolutely. Also, every famous quote ever apparently comes from Hamlet if you didn't know. I have no idea what I was expecting from this book or from this trilogy, but it definitely wasn't this. It was absolutely insane, absurd, and bizarre in so many ways...to be perfectly honest, I didn't enjoy it very much. I persisted until the ending to see what was happening, and in the end I still felt let down. I genuinely enjoyed the first book in this trilogy, and I am still a fan of Courtney Cole, but I so wish she'd left Nocte to stand alone instead of persisting with the trainwreck of insanity that this trilogy turned out to be. My heart. The feels. So much love. Rating: 5 stars, because I'm mushy like that. 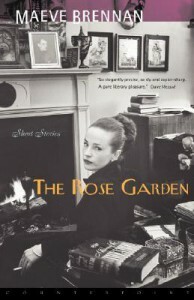 Maeve Brennan is a master of short stories. All in all, this was not my favorite collection (her Springs of Affection is much better, in my opinion, but it was still an enjoyable read. Brennan's prose is breathtakingly beautiful in parts, and there are several excellent reflections on topics ranging from the role and place of women, to emigration and immigration, to class boundaries and socioeconomic divisions. Perhaps not a MUST read, but certainly a very entertaining experience. 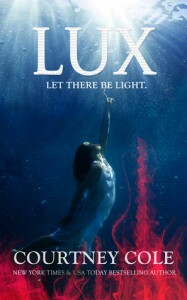 I adore this series, so it should come as no surprise that I adored this book as well. Robin is one of my favorite characters currently, so getting more of her backstory and characterization was a welcome treat. Even though I figured out most of the ending well before it happened, I was still on the edge of my seat throughout, and also pleasantly surprised by a few final twists. As always, I cannot wait to read more Comoran Strike books as soon as she hurries up and writes them! If someone had simply sat me down and told me what this book was about and the characters it contained, I would have expected to like it. As it was, I was not disappointed. 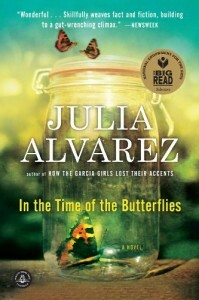 Even though I knew what was coming in the end, it was still heart-wrenching to read, because Alvarez did such a fantastic job of making the characters feel like living, breathing, real people. I was drawn in by each one of their stories, by their unique voices, and by their genuinely relatable lives. Due to class deadlines, I had to read this book in a single day, but I very well may reread in order to take a bit more time with certain parts. Regardless, I am a huge fan of this book, and recommend it to anyone who wants their literature to be the perfect balance of heartwarming and heartbreaking. When this story collection opened with a story in the second person, I was immediately both intrigued and concerned. 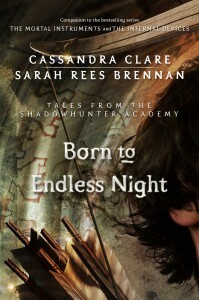 It takes a lot to pull off such a uniquely styled story, but the slowly unfolding plot and gradually darkening tale hooked me from the very beginning and never let go. The first story, The Parting Gift, instantly became one of my favorite short stories, and as I read on I continued to be impressed. Keegan has a unique and captivating style, and I can honestly say that this is one of the best short story collections I've come across. If you're a fan of Irish literature, occasionally bizarre but always entertaining stories, and some darkly captivating plots, then this is the collection for you. 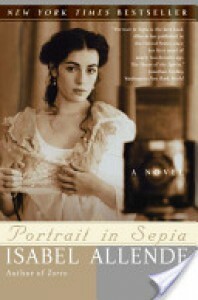 After reading Allende's Daughter of Fortune for a college literature course, I knew immediately that I would need to read Portrait in Sepia in order to see what happened to the characters I had become so deeply invested in. 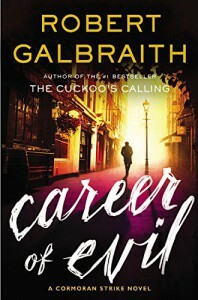 I expected a good novel but a standard sequel, and I began reading more to satisfy my own curiosity than because I expected to be particularly enthralled. What I found in Portrait in Sepia exceeded all of my expectations. This is a novel which grabs you from the first sentence and doesn't let go, dragging you into a world and a life that feels so real you could easily believe that it was a memoir rather than a novel. Aurora Del Valle radiates off the page with a spirit that is captivating and astounding, a personality which is entirely unique and all her own. Answers to questions left open-ended in Daughter of Fortune are skillfully and subtly covered, and in the end I feel as though I have just gotten to know a group of people whose story has entertained and intrigued me from the very beginning. If you are a fan of good historical fiction novels, or of good books in general, this is one I absolutely recommend (although I would recommend giving Daughter of Fortune a read first, for consistency's sake). Update: Upon rereading this book for a literature class, I can say that is is still amazing and Tana French is phenomenal. I think this was the perfect one. Since first discovering Tana French's novels after reading In The Woods as part of my Honors English class in college, I got a little bit obsessed, and as soon as I had the chance (once break started) I began to devour the three remaining books. With each one, I enjoyed the story and the characters, but there was always something small that ended up annoying me about the book as a whole. Maybe it moved too slowly (The Likeness), maybe the ending wasn't satisfying (In The Woods), maybe the plot left me a bit disappointed (Faithful Place). I was all set to feel the same way about Broken Harbor, but then...I didn't. I genuinely can't come up with anything I didn't like about this book. If I had to pick one thing, it would probably be that I don't love Mick Kennedy as a main character (or as a character in general), but I was able to feel for him even if I thought he was annoying, so overall even that small annoyance wasn't enough to get under my skin. The plot was brilliant, the pacing was perfect, and the emotions were, as always, spot on and heart-breaking. 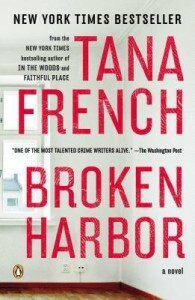 While I definitely recommend that any murder mystery fan reads all of Tana French's novels, I will say this: if you're going to pick just one, go with Broken Harbor.